akimynation | lend me your eyes, I can change what you see. lend me your eyes, I can change what you see. This is for you mama. All my successes are yours too. For everything you did for us, Every sacrifice and hard work, not just that but even the little things too. Because “Thank you” won’t be enough. Because whenever I would say thank you for all the things you do, You would only say : “Why do you say “Thank you” ,You will only understand what I’m doing when you understand unconditional love. And no matter how many letters to you I’ve posted in this blog, I pray and hope that God is kind enough to deliver these to you. Because I just sincerely want you to know how much I miss you and how much I want you here with me , because I want to share every success with you. Because in the end, it does not matter how high I may achieve. But what matters is to whom I share them with. 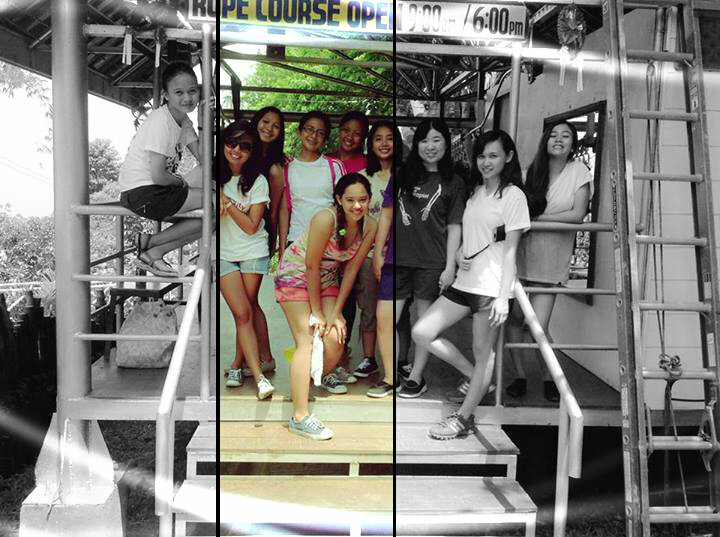 And no matter how much it hurts I have no choice but to stay strong until we meet again, In God’s perfect time. When you’re older, you’ll realize that the opinions of others don’t factor into your true happiness. Someone told me that having fun is far too different from being happy. But what is true happiness? from someone who has read several books on how to attain happiness, it must be a matter of mindset, and not circumstance. But sometimes the things you do, the situation you’re in can deprive you of a happy mindset. Such things as a bad day, or something as shallow as how other people see you. Does it really matter? will this really play into true happiness? Even up till now I’m still figuring that out. A quote once said, those who matter don’t mind, and those who do mind, don’t matter. Still in the middle of my adolescent years with a lot of questions swarming in my mind. I just hope i will reach a time when life will finally be explained to me. till then. I need guidance. I’ll be here by the ocean just waiting for proof that there’s sunsets and silhouette dreams. . . I lately find myself listening to the music of my teenage days. So far, it has saved me from the emotional rollercoaster I’ve been through brought by the changing of my Internship duty assignment and the heat and stress that comes with it. One thing has been running through my mind these past few months, and it’s been bothering me ever since.. Why the heck did I not enroll in Journalism or Literature and pursue my dreams of becoming a writer and a published author?Well I’ve been through this argument with myself before. Battles of the mind as I call it. In the world we live in today, people are driven not by passion or dreams, but instead are driven by practicality and survival skills. Such was the principles racing through my mind when I chose this medical related course. Of course ever since I was probably in the 2nd grade, I started writing amateur short stories. One story I called “Jack and Petunia” a love story derived from Jack and Rose’s The Titanic. So what if I used to fantasize of wild entities in our gardens and made myself believe of magic portals beneath our Rose bush. Where did that imagination go little girl? I ask myself. It’s been replaced with thoughts of Science: e.g. the muscles, where do they originate and insert? How can one bone deformity or nerve damage affect the whole mechanism of a person’s body? 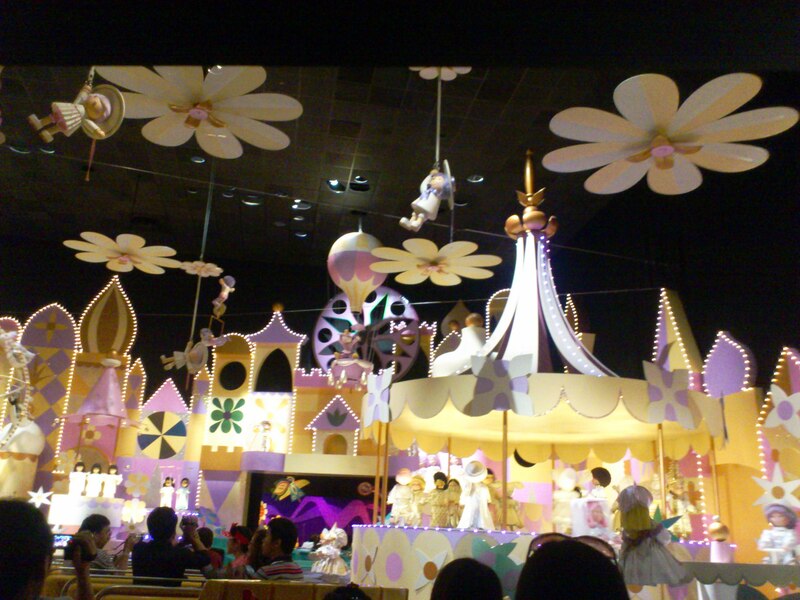 These critical thinking ways have shadowed my art of transporting myself into a dream fantasy world. How I miss that little kid who used to play Mermaid with her best friend in a crowded pool, That little girl who’d climb up trees thinking beautiful creatures will be waiting to play with her up there, that girl who climbs on top of the roof to watch the mountains while listening to The Eagles, and how about that kid who imagined the nearby monster alley every time she’d go for a bike ride? Is this all the fruit of being in a survival mode world? Or is this the proof that a once happy little girl have grown up to face all the hard facts of life. I will never forget you, little girl. Here I state a promise of pursuing your dreams, once I am done with mine. It has been a long and winding journey to get to where I am now, not to mention the mental and emotional hurdles along the way. Of all aspects, the heart and mind do go together. For when one is penetrated, the other goes down with it. Surviving the tackles wasn’t easy. 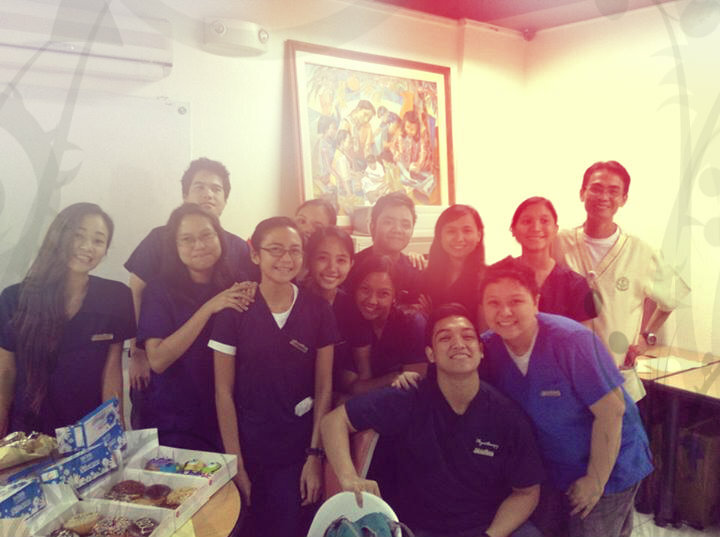 But here I am, finally an intern on a pedestal on her 1st rotation of duty, in her 1st hospital, with unfamiliar faces to be met, and with not a hint of idea what she’s doing here in the first place. If you can imagine how the ugly duckling felt when she thought she was born in a family of beautiful birds, such was the feeling I felt when I first laid eyes on this institution. It was unfamiliar, unfriendly, and its facade emanated an aura of unmercifulness (is that even a word?). Nonetheless, I continued on what is expected of us new PT interns, rigidly and apprehensively, I tried to do what is asked, I observed, performed, and succeeded. 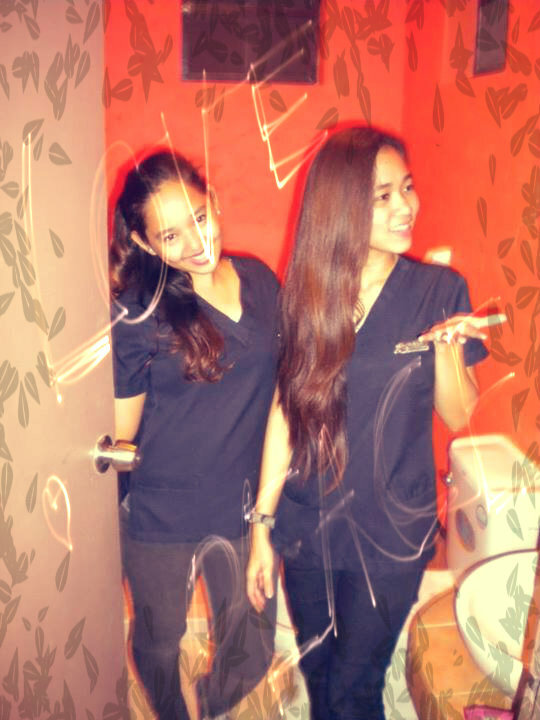 And before I knew it, the manner of working became an everyday routine. Just one thing stood out from that 2 month day by day routine. Remember when I mentioned unfamiliar faces? They became, the most friendly people Ive ever met. 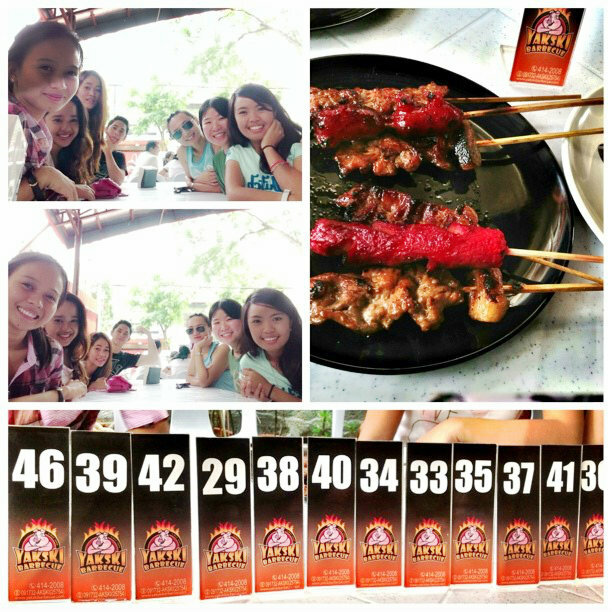 We went out for random lunches and dinners, a couple of night outs, and probably an adventure trail here and there. Whatever the plan, the main thing is to include everyone. That’s what I love about this group of people. No discrimination, no one is left out, and everyone is family. I would also have to mention the almost endless supply of food and delicacies we devour upon. As well as the occasional insanity strike we conjure when nobody’s watching. The out of breath laughters when someone commits an epic blooper,when someone says something funny,or just plain embarrassing oneself. Like I said, family. The 2 months of togetherness ended so fast. Some cried, some promised to keep in touch, but some, we know we might not ever see again. I don’t know whether to be happy because I’m finally moving on to another beginning, or sad, because I will be leaving the people I’ve grown to know,care, and love. A consolation though, is looking forward to more new beginnings, more meeting future colleagues, and just plain experiencing new things yet to come. 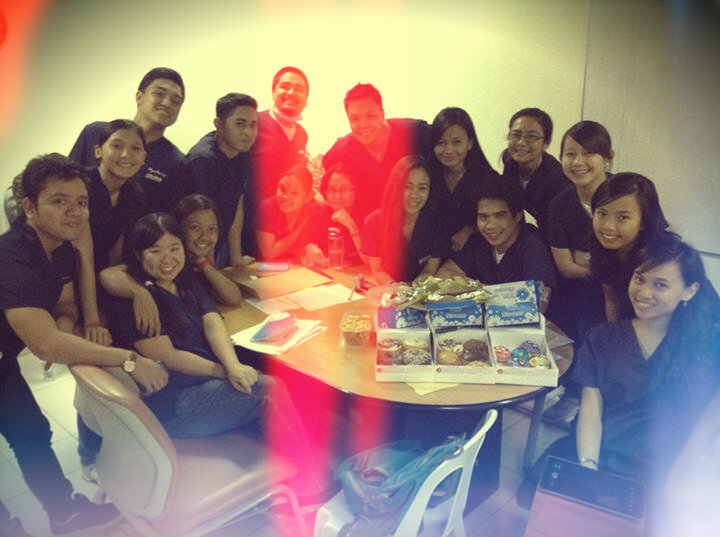 I will definitely miss these guys. 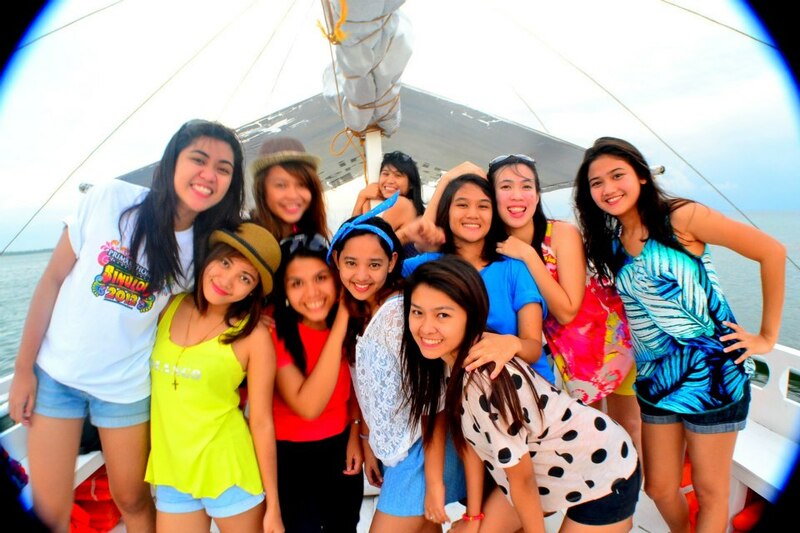 Goodluck on our ongoing rollercoaster journey! 2 months down, 8 more to go! In the year 1889,Gustave Eiffel erected what will soon be the most iconic landmark in the world known to man. Located in Paris,France, a city of rich history and beauty, the Eiffel tower remains to be my beacon of hope in this almost hopeless world. When I was young, me and my mother watched Mr.Bean’s vacation in Paris. We bought a dvd titled A good year,and we rented a movie called Only you. Ever since then, the dream started. I wanted to see the tower with my very eyes. Its not just any ordinary man- made famous landmark. It stands tall & strong amidst the cold and changing weather, it surpassed so many changes. It remained still and same for 124 years. It is undeniable, that not only it, but its city as well is a lost nostalgic memory of a supposed alternate dream reality. If I could stand infront of it, I know I can’t help but get teary-eyed. One might think it superficial, but there’s actually a story behind, a story of wanting, a story of losing, and a story of surviving. From my rebel days, to the aching loss of my mother, to my distant father, to my only brother, to my failed dreams, to my enemies and bullies, to this incessant feeling of being poor, I just know there’s more to life than this. And I just know, seeing that tower with my very eyes would not only symbolize how far Ive come, how Ive surpassed all the challenges, but of also how I came through strong and standing tall amidst the hard rocks thrown at a young innocent girl. How I fought back, and proved to life that no matter how hard it becomes, I will always fight back. Because I too, deserve to be happy. I just know, one day, I can prove it all. Hardships can break people, But it too, can build character. 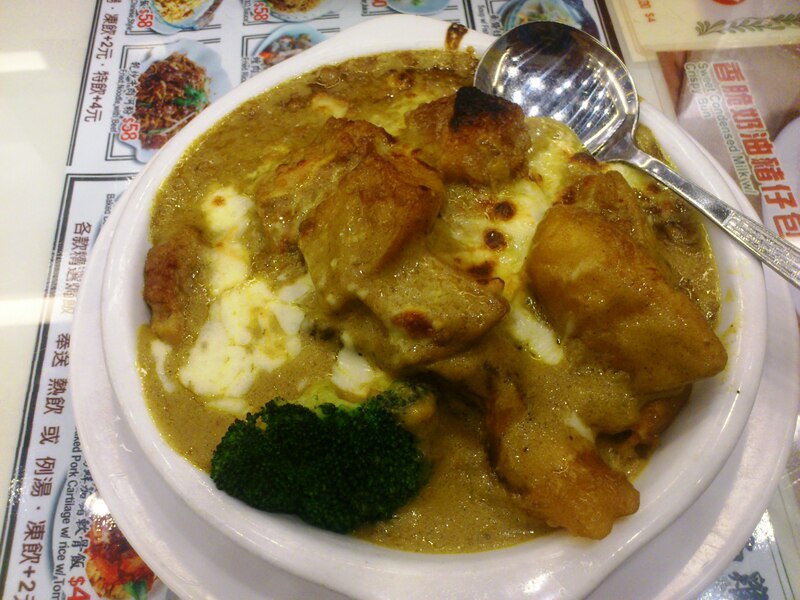 I’m making this blog post not to brag or anything, anyway there is nothing to brag since lots of people have already been to Hongkong and had experienced its wondrous offers. There is a saying that when you keep a journal, the journal keeps you as well, and I am hoping this blogpost will be the start of the many travels I wish to do (Cross fingers), which I will be reading until I grow old. That morning I asked kuya if it was true and he said yes, I had yet 4 months to wait for the trip. Sembreak came and it was time to pack. I did not have any news about my grades yet or if I passed but it was hard to worry when you’re already on your way to vacation. 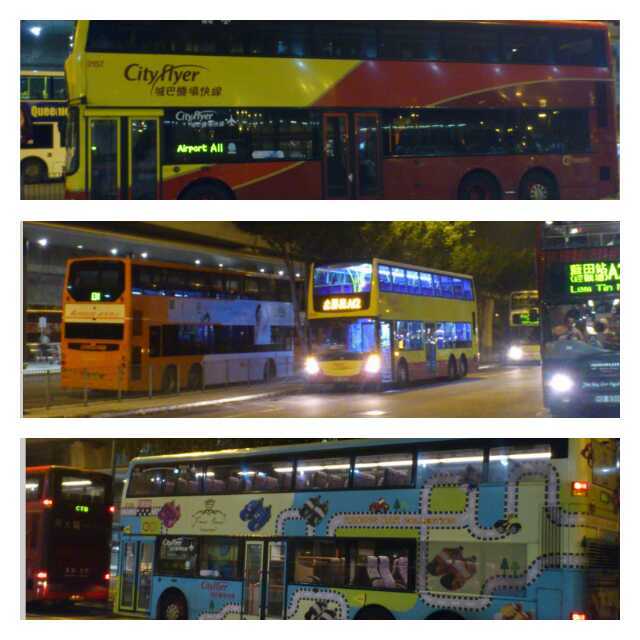 We arrived in Hongkong and it was already night time. 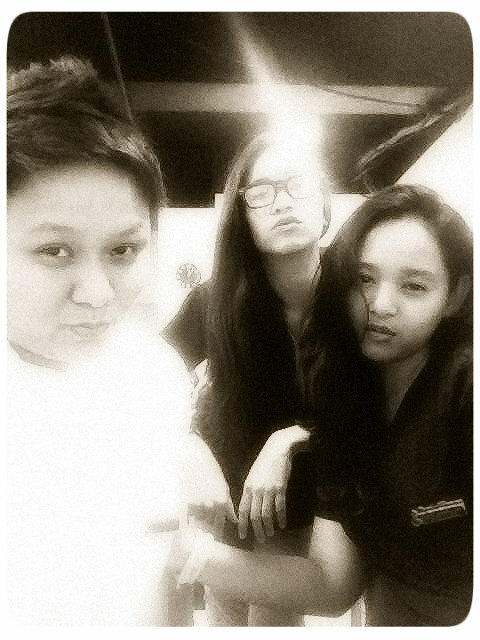 We were tired and I was wearing booties but still the last thing I wanted to do was rest. 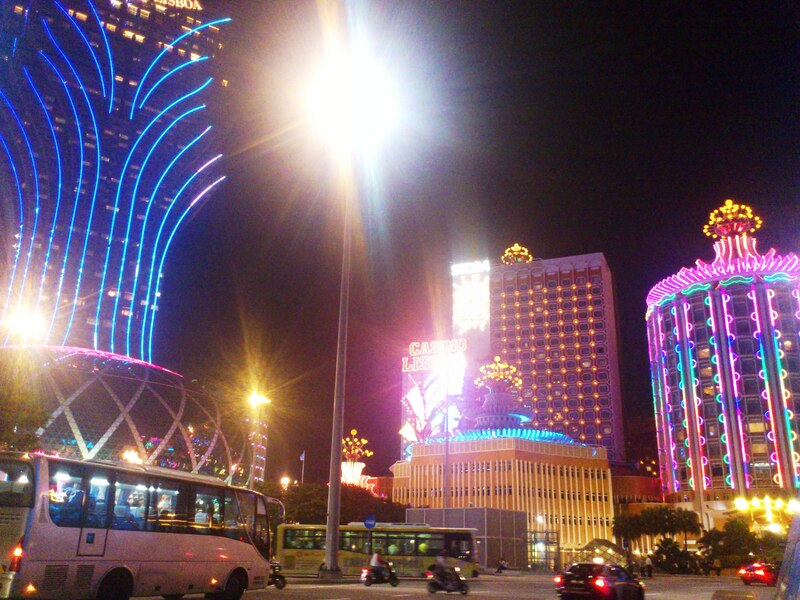 We were greeted by sparkling city lights and beaming signs from everywhere. I felt excited. 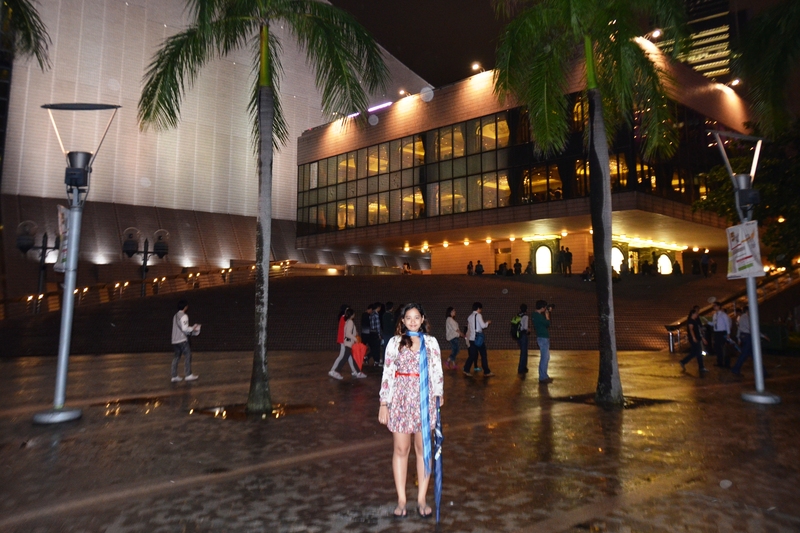 When I first saw big buildings and big lights all I could think of was that I am in a movie. It was unreal for me at that time. When we reached our Pension house by a Double Decker bus, We look for the place we would stay, which took us a while, since all that we had fora guide are the signs. 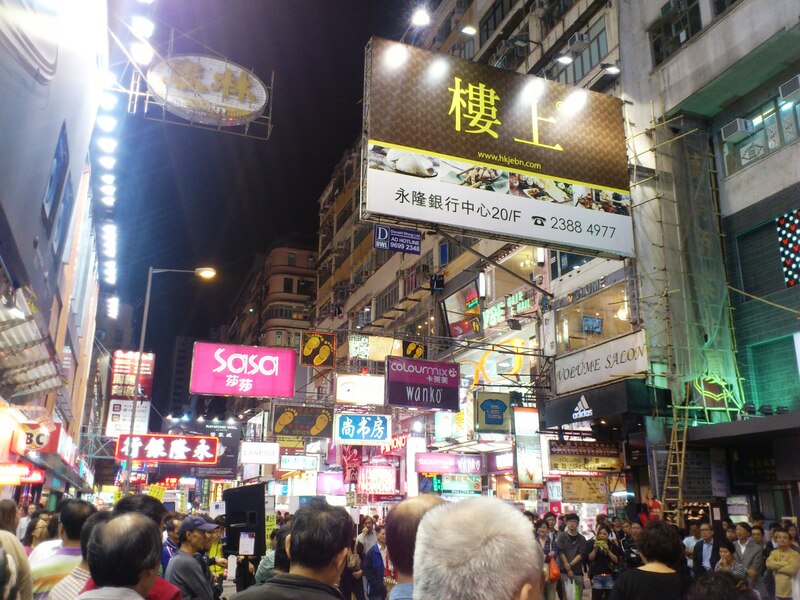 Fortunately, Hongkong is a very tourist friendly place since there were signs everywhere . After we rested for a couple of minutes we then went out to explore and to get lost in the city! 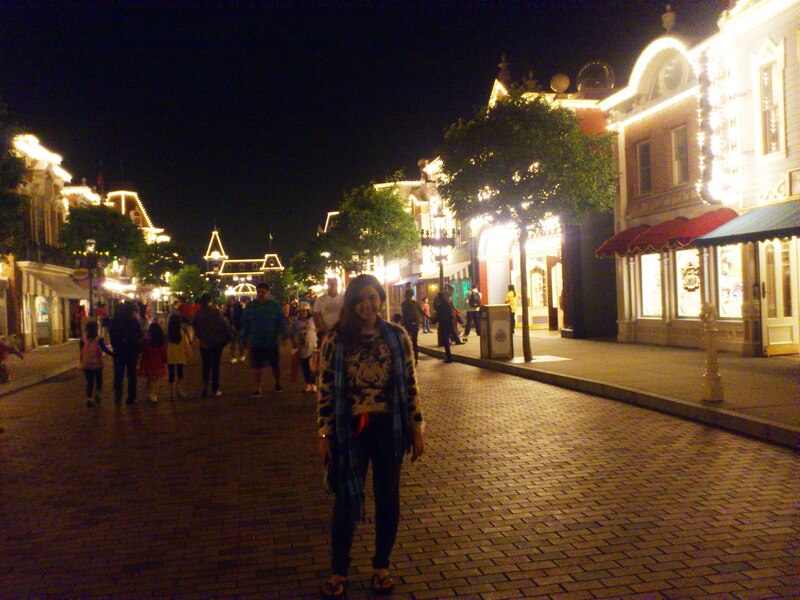 That night we were looking for the clock tower and the avenue of stars, instead we got mixed up in this crowded place full of street food and inviting restaurants. 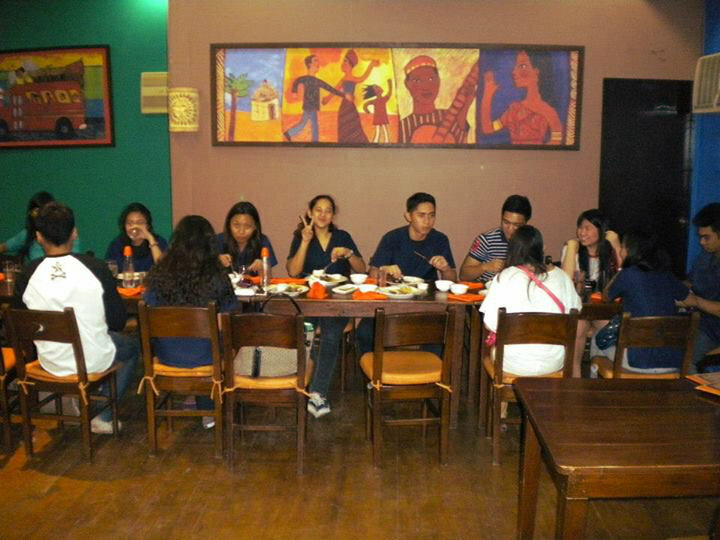 If only we’d gotten lost sooner we would be able to eat dinner there, but we swore we would come back there again. We never did get to The avenue but we did explore that part of town. Later did we found out we were in Carnarvon road, walking to Cameron road then going back to our place at Humphrey’s Avenue. Again, I felt like I was walking in an old chinese slash mafia kind of movie everything was just so new. Ironic. 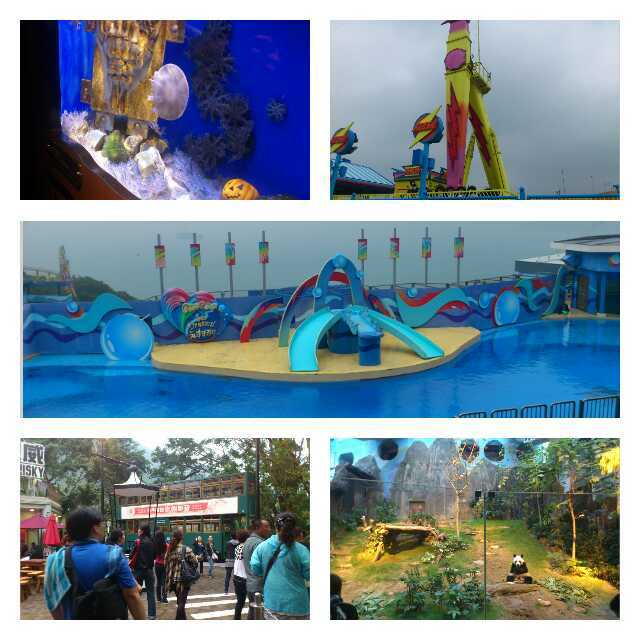 This day was allotted for Ocean park!!! Im so excited I feel like a little kid again. We got up at 7 am only to find out that the queue for the theme park starts at 10. So we explored another part of the city which I forgot the name and we went in the Queensway plaza. 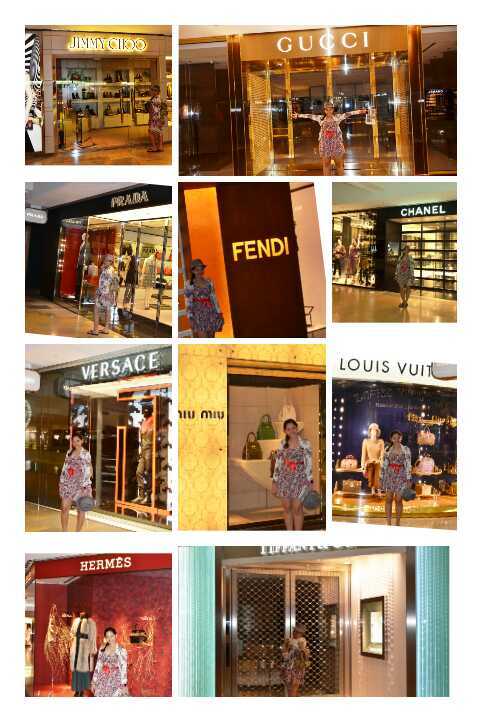 There I found lined up are A-list shops which I have never seen up close before. Call me lame, but we don’t have something like this where I’m from. This is it! It was almost 10 and were already buying our tickets. As luck would have chosen it, it rained, but that did not bring our spirits down, we kept dry by all these free newspapers they kept handing us in the streets. Ocean park provides a map of the very big Theme park they provide. And as we’re so deadset on getting back our money’s worth, We checked every little part of the map that we’ve been to and made sure we left no stones unturned. From 10 to 8 that day all we did was walk, ride, walk and walk. My legs felt like rubber that day and I swear I could feel my femur rubbing against my Tibial condyles. Meanwhile Kuya was having the time of his life this ride called FLASH. Its shown in the video below wherein you’re being thrown up in the air and suspended for a couple of seconds. It’s really scary that I didn’t dare try it because of my vertigo. The day wasn’t over yet. 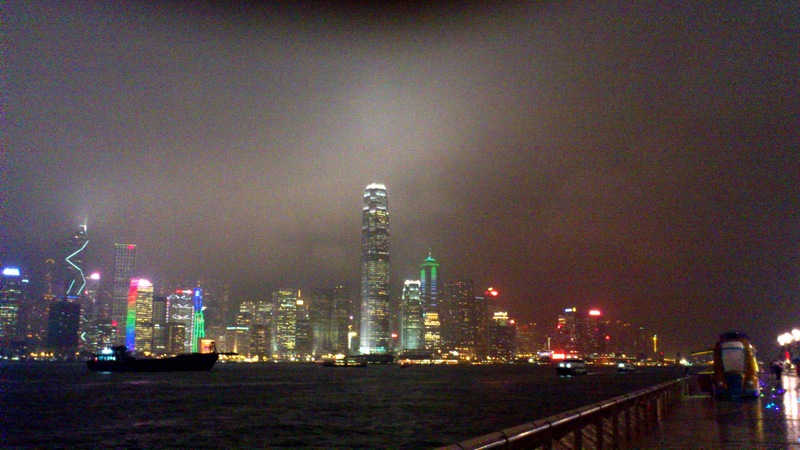 At night we went to Victoria Harbour, Avenue of the stars, Tsim Sha Tsui Promenade and HongKong museum, which is basically all in one place. Kuya and I finally bought an Octopus card. 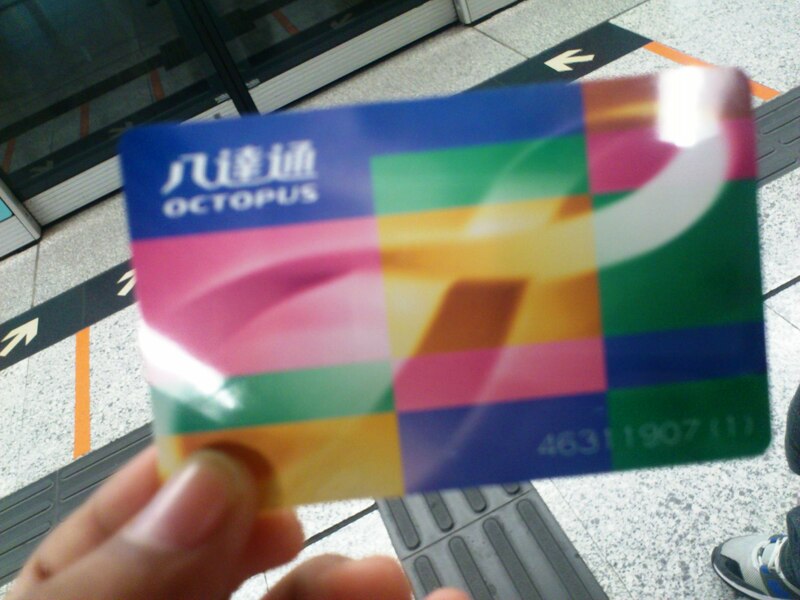 An Octopus card is like a debit card in HongKong wherein you buy credits and you can use this card for bus fares, shops, some restaurants, 7-eleven and the likes. We didnt have to buy single journey tickets to every place we go. I have to mention that this was the best part of my vacation. Finally it sank that I am not in the Philippines anymore. 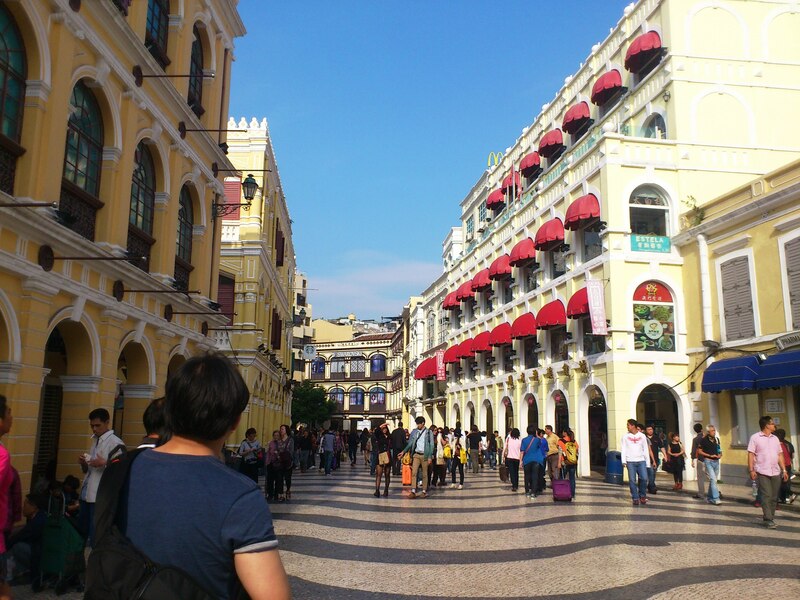 Being in Macau made me feel like I was in Europe. Not only did the Venetian did this but also some other tourist attractions. Also, I get to experience the feel of old Hongkong. With street vendors at the sides, The streets near the Ruins of St.Paul reminded me of the movie Kung Fu Panda. 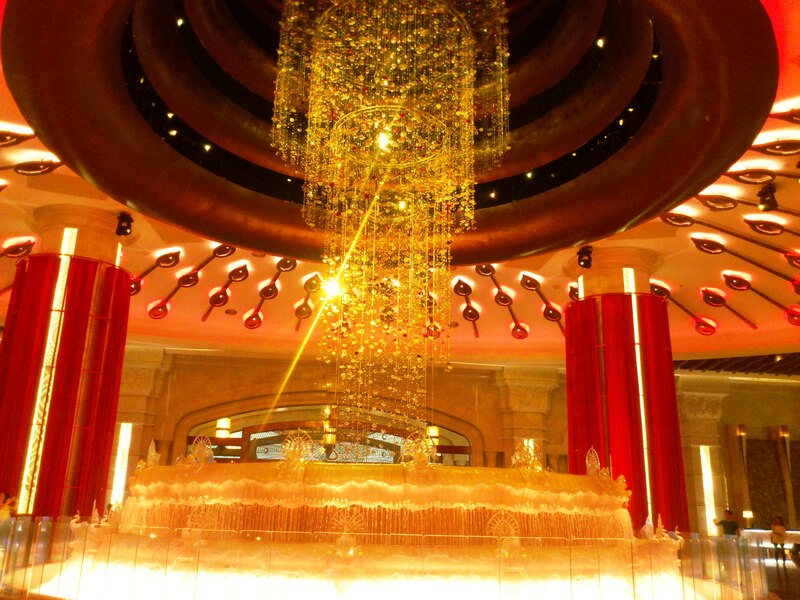 Next stop, The Venetian. 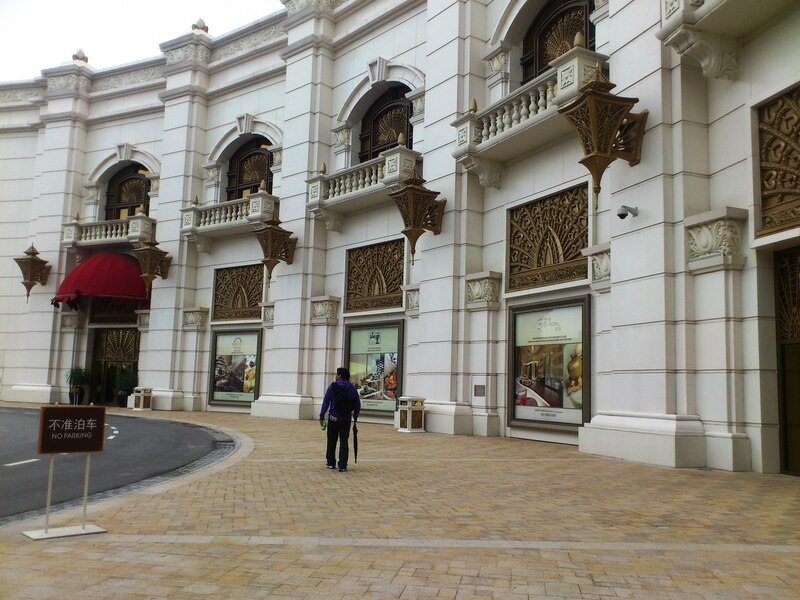 We walked from the galaxy hotel to the Venetian. Taipa Island, The place where we were was very cold and windy. The streets were clean and quiet. Seldom can you see cars or people. 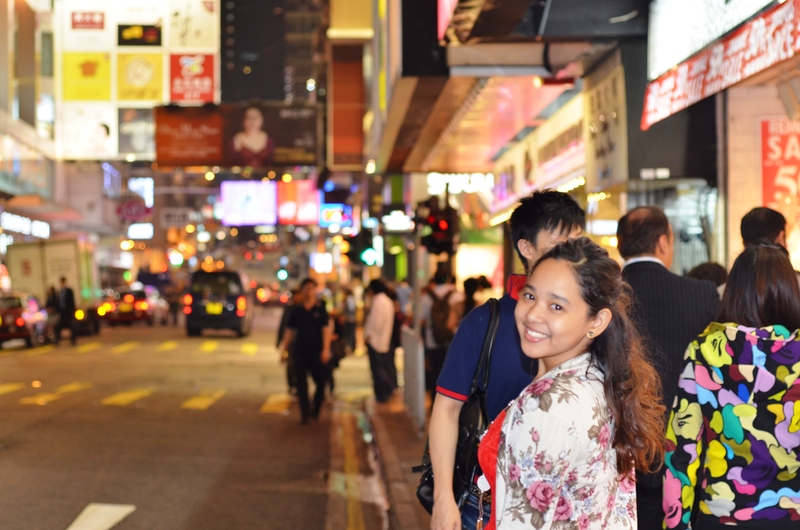 At that time, Kuya and I were the only people I could see walking their streets. 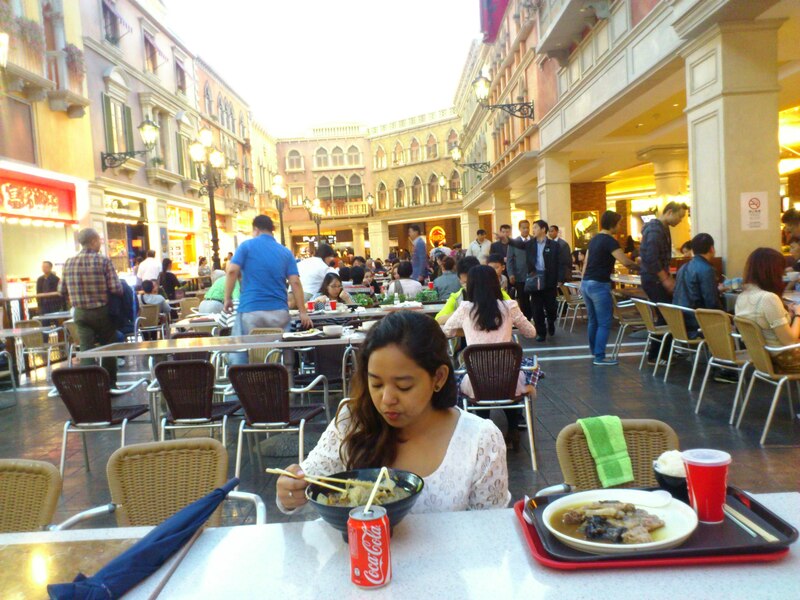 For lunch, their foodcourt was full of lined up restaurants with chinese, italian and indian cuisines. 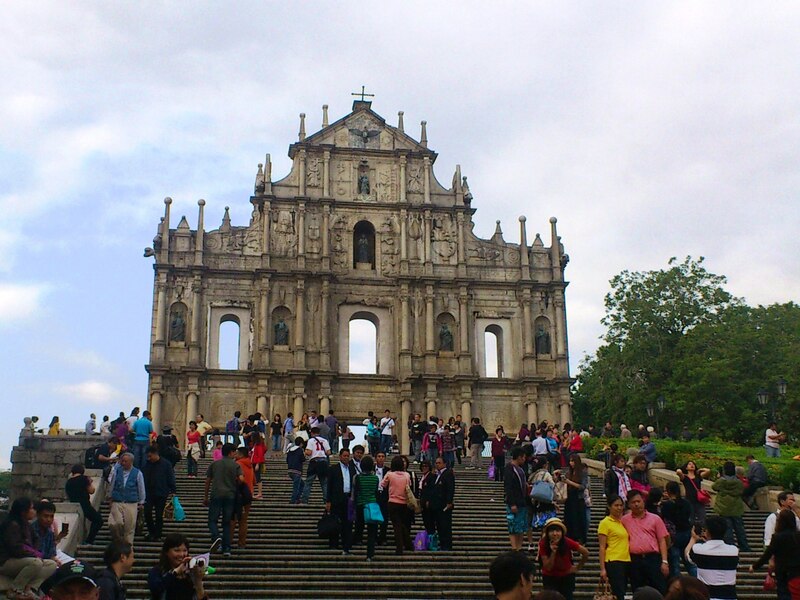 After toruing the venetian, we then went back to Macau ferry terminal then took a shuttle to the Grand Lisboa where we would walk to the ruins of St.Paul. With a map in hand, we battled the busy streets leading to the ruins. 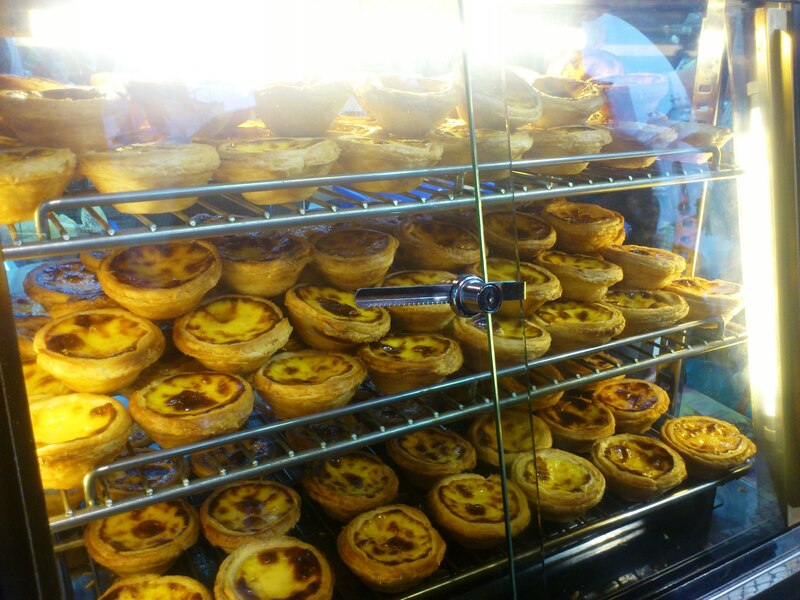 on our way, we found this yummy must try Portuguese egg tarts! At night we went to Jordan, Kuya heard that their Temple street is the place to be at night. We arrived there with a good kind of chaos greeting us. 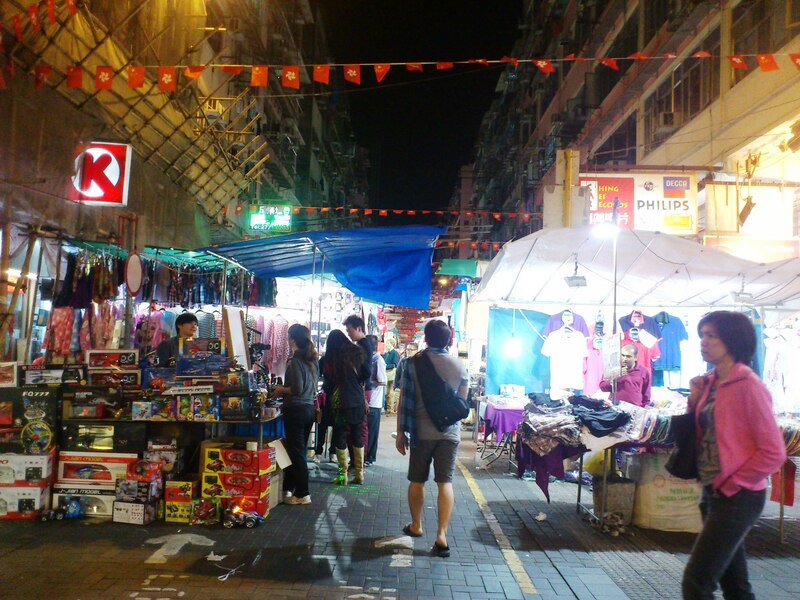 There were Shops and crowded people in small streets everywhere, the lights where shining as ever. 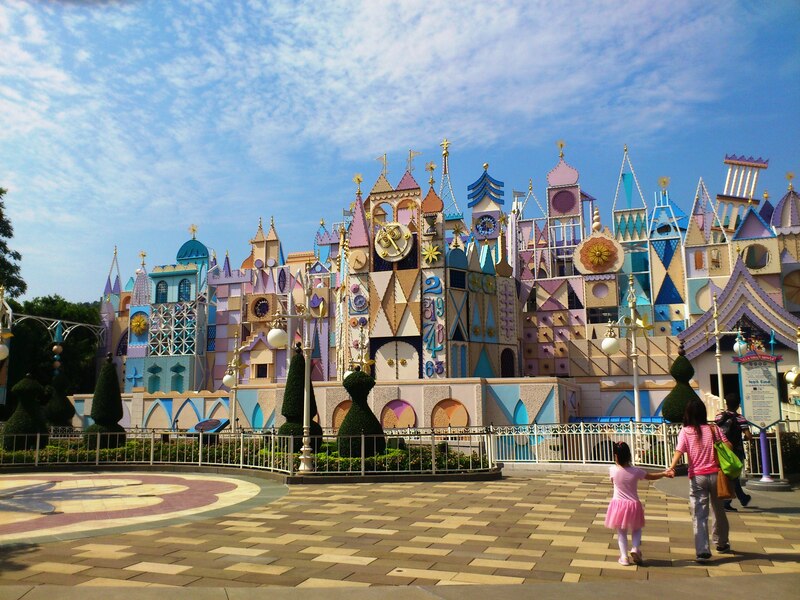 The world famous Disneyland awaits us today. 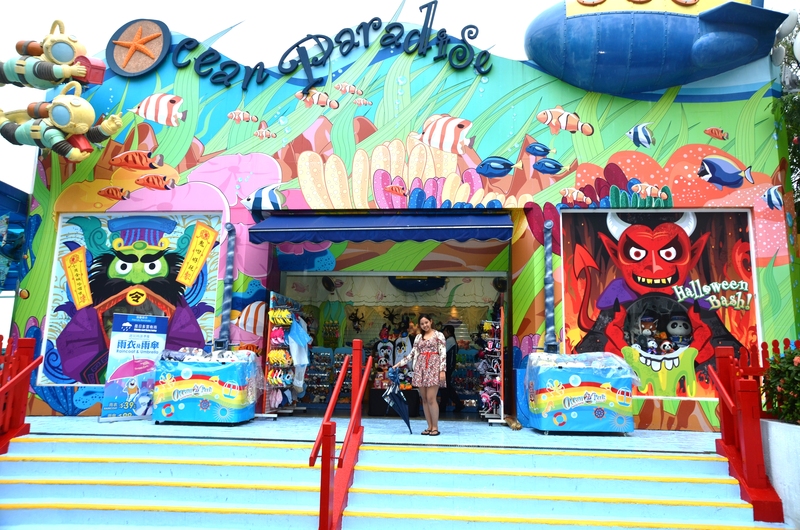 It’s full of fun places and just like we did at the ocean Park,we went to every single place and rode every fun ride. It was a happy place,enough said, I’ll let the pictures do the talking. 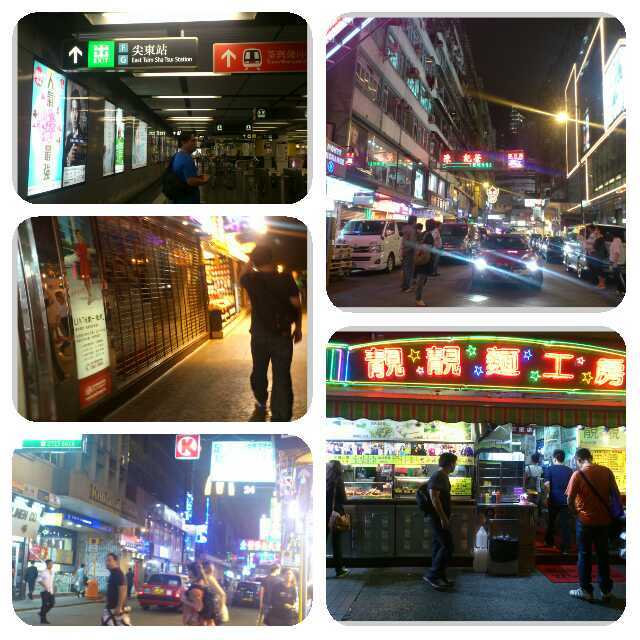 After Disneyland, we took the MTR to check out Mong Kok where they are well known for their computer centers and the ladies market. 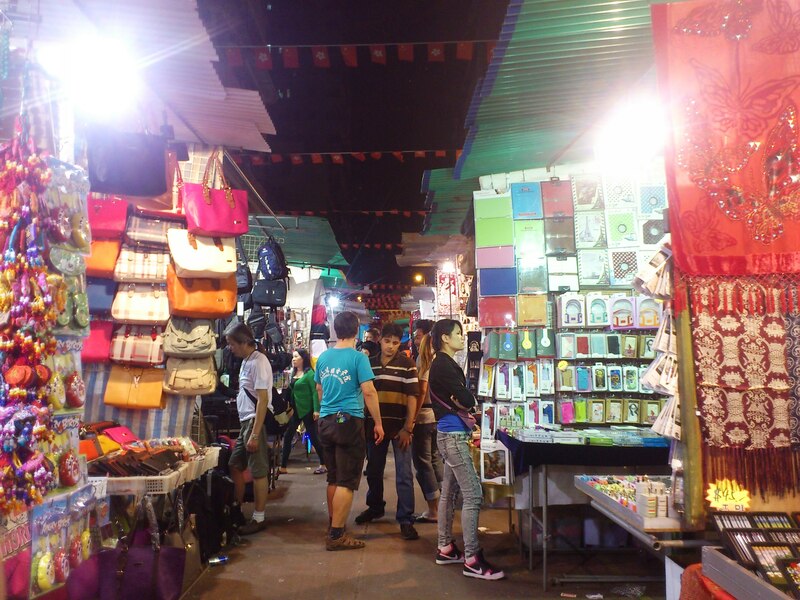 Mong Kok Ladies Market. 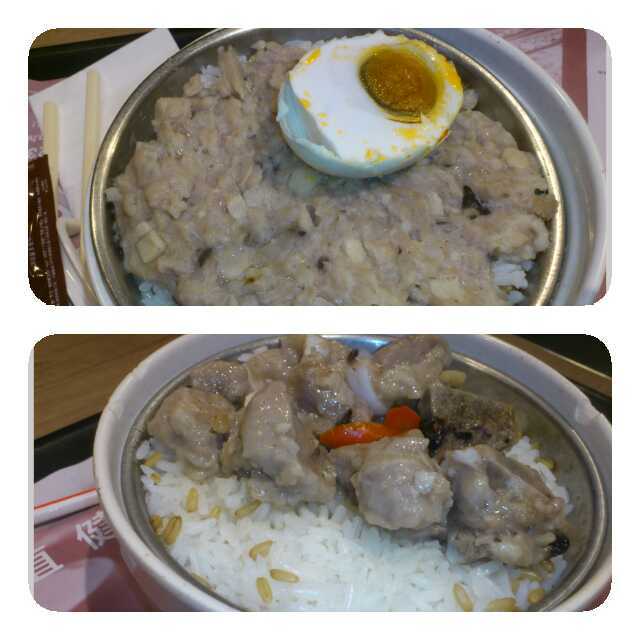 This is essential since HK residents’ favorite past time is shopping. 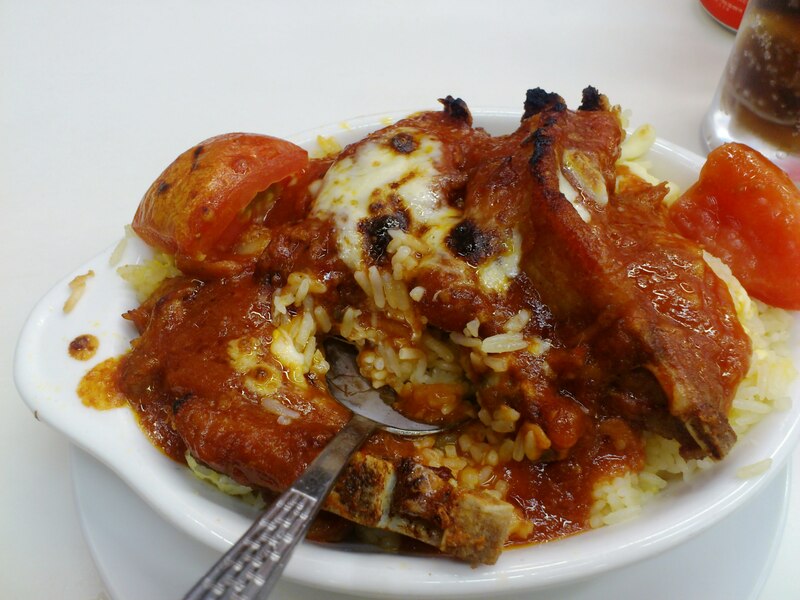 Baked Porkchop in tomato sauce with rice – it is to die for. seriously. 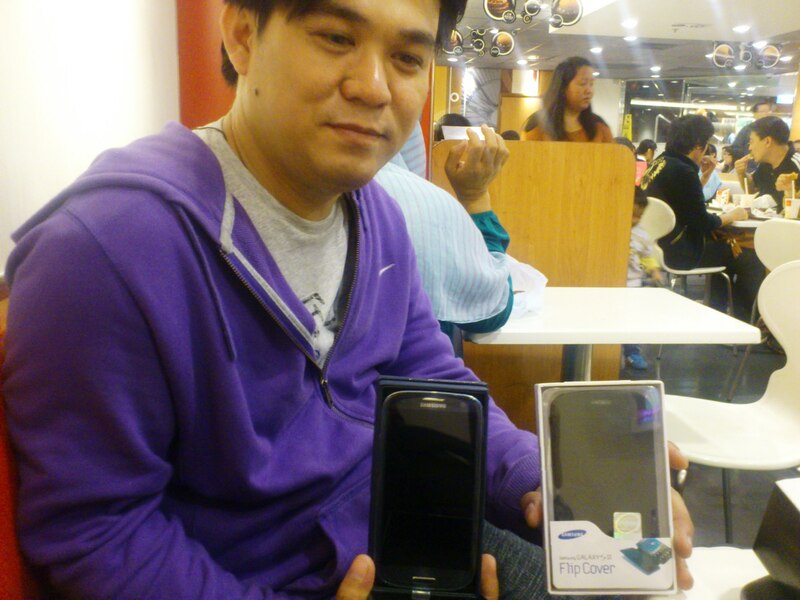 Samsung Galaxy SIII – Congrats Kikoy!! Here is a short Video montage I made of our trip. Hope you enjoy! I haven’t been wasting away for 1 week as many people would’ve done if they have lost a loved one. This one of the two week break is the time I get to take a chill from school and just rest the day away, well, of course I cry from time to time thinking what I would have done if mama were here, If you want to know what those things are please refer to previous blog posts. No, I have been sleeping, eating, reading, cleaning, cooking, series marathoning, and all other -ings- you could do when you’re housebound. I know this may all sound dull, but don’t knack it till you’ve tried it. 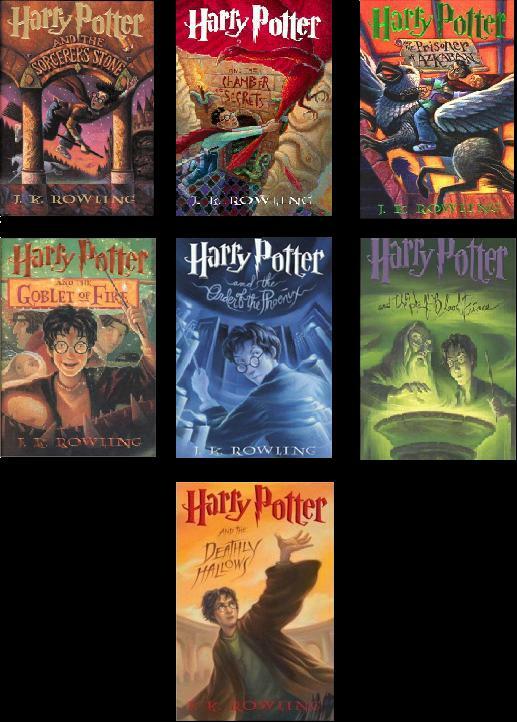 I have finished the Harry Potter Books Series. 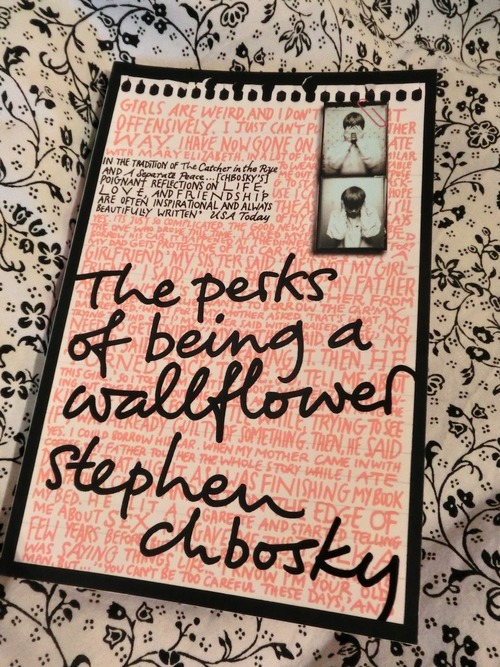 Yes, all of them and now moving on to reading the Perks of Being a Wallflower. I have so many times emphasized in this blog how much fun it is to read. How full it feels to feed the hungry imagination of a dull mind. How books are the next best way to travel. I have so many classmates venturing into the unkown world of stories that await this semester break and I advice this to anybody who doesn’t have anything better to do. A fulfilling way to spend any break is by being productive. When my mother left me, she did not only leave her loving memory, but she left me the knowledge of cooking. 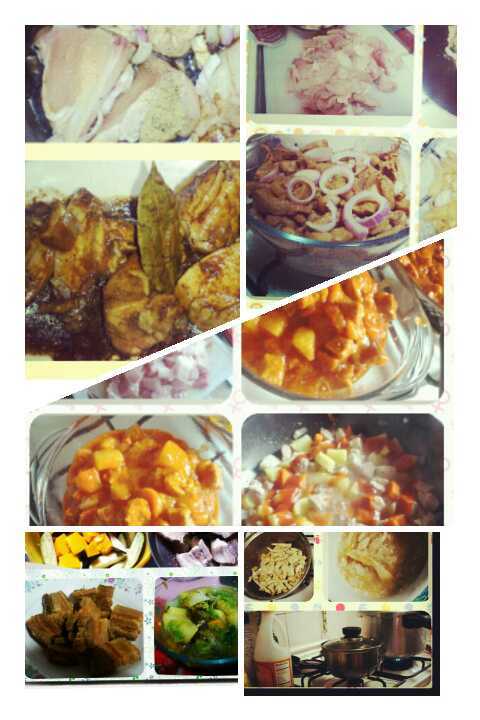 Instead of letting those learnings wither away, I put it into practice, not only did I learn so much, I also get to taste a lot of yummy food. There’s nothing more satisfying that that guilt-free feeling of watching series’s all day! I could watch start of the season episodes from Revenge, know what will happen next to Chuck and Blair, and will Elena become a vampire? No school stuff to delay me from watching my most awaited episodes. All in all I had a fun 1 week vacation. 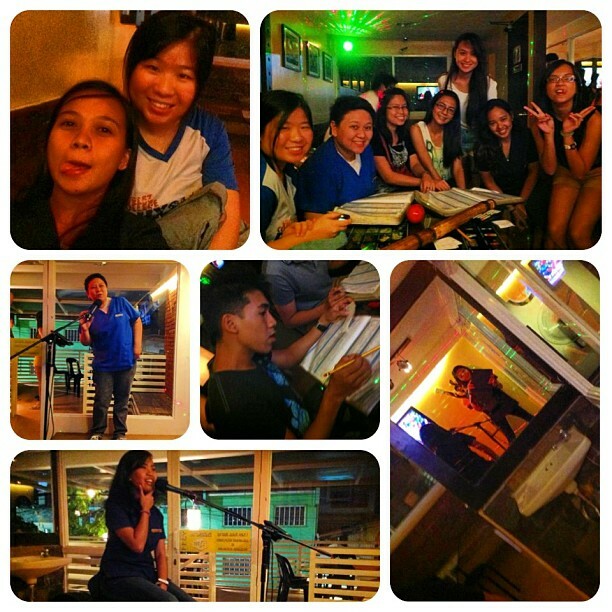 I can’t wait for Sembreak week 2. Off to HK! Dreaming of the same place over and over again, I just know I am meant to be there. Whether to stay or to visit, to tour or to explore, I am meant to travel Europe. It calls to me, when I am awake and In my dreams. On the dawn of August 5, 2012, Me and Cherryl were bound to leave on a plane going to Paris. 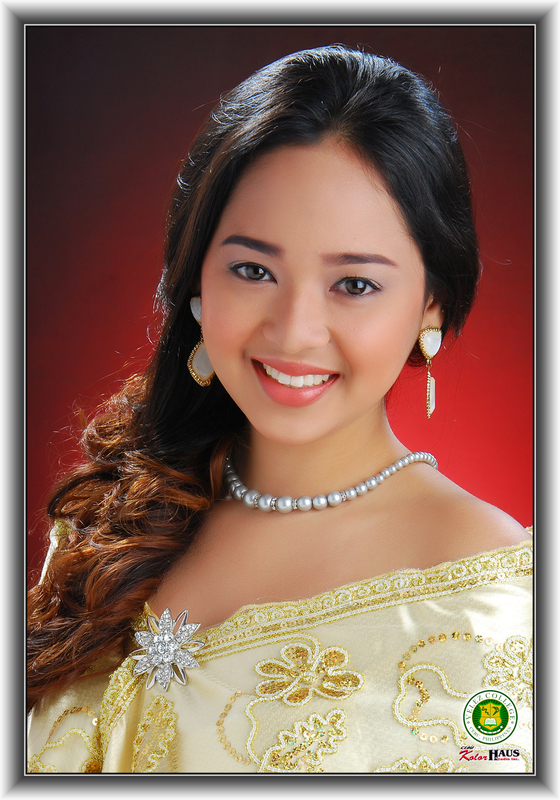 It was a gift from my Kuya. The cherry on top of it all was that Adam Levine was to go with us, handsomely waiting for us at the airport. Imagine the excitement of a blind who is given sight. The feeling was real, as if I can’t help myself from the overwhelming euphoria. I didn’t even care when asked if I had a camera, I didn’t bring one but it didn’t matter, I am going to be there. “This is the perfect time to find myself” I told my friend as I was reminiscing my mother’s face. ” She’s never coming back?’ I asked. No answer. I must have really missed her. So I presented my documents to the migration officer who held my fate. She gave me hard time with all the questions until she stamped my ticket and passport. I was through, I am really going to TRAVEL TO PARIS. I could not wait to see the Museums, the restaurants, the side attractions, the streets, the underground chaos, the rustic cafes, the snob crowd. 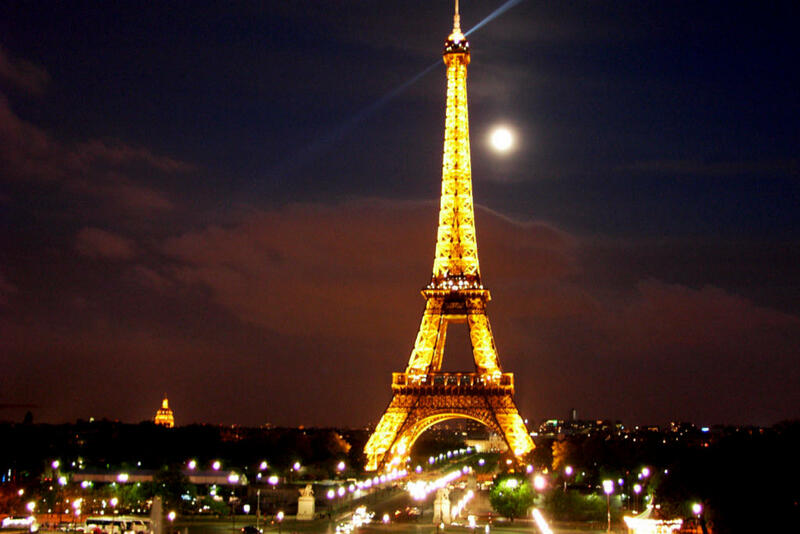 I could not wait to indulge on the World’s history, the Conspiring theories and stories, the sight of Eiffel. Have you ever tried waking up from a delightful dream, just to find out all of it was never real. Not even close to real. It does not feel good…. at all. This dream may tell me of two things I will and may never have. 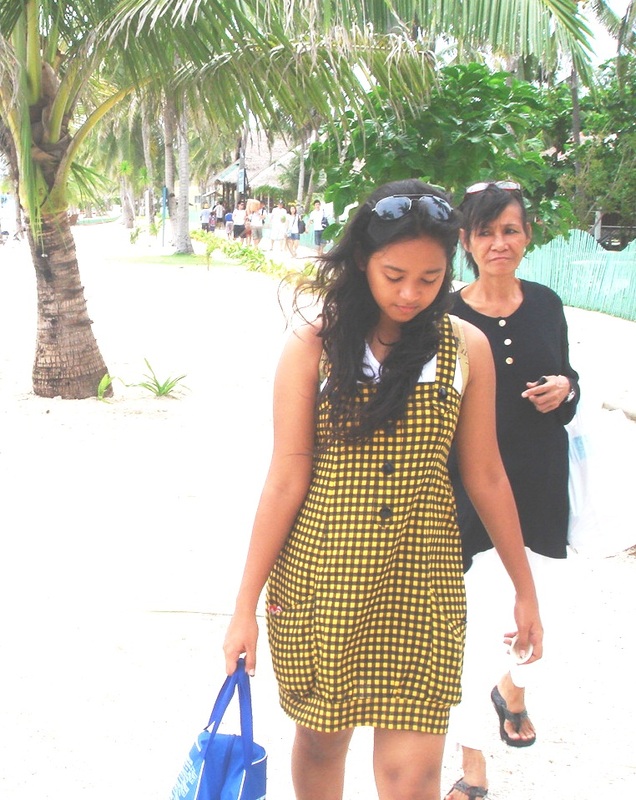 My mama, and a European travel. The projection of my desires are unfailingly well played in that dawn dream, ” She’s never coming back” – I realized. 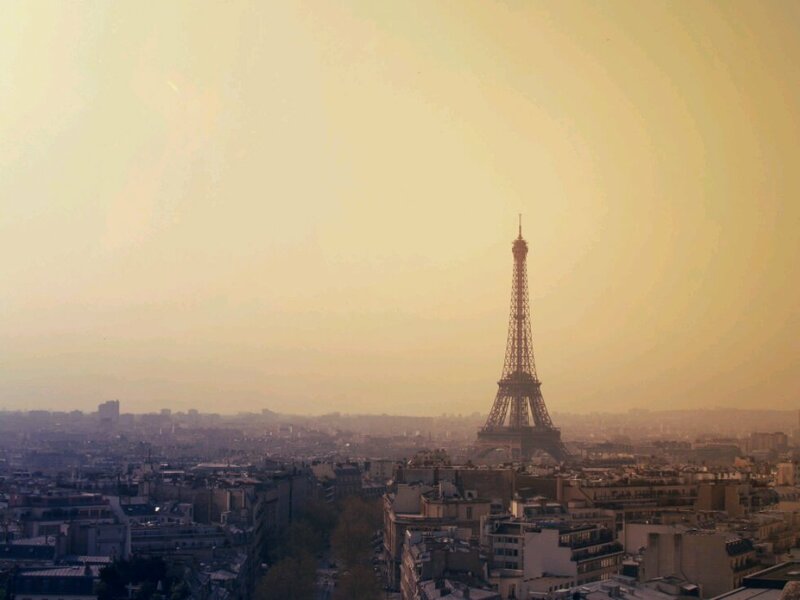 But “I am going to Paris” – I also dreamed. If I cannot have both, I will take one for sure. Traveling won’t be as good a motivation as my mother had inspired me. 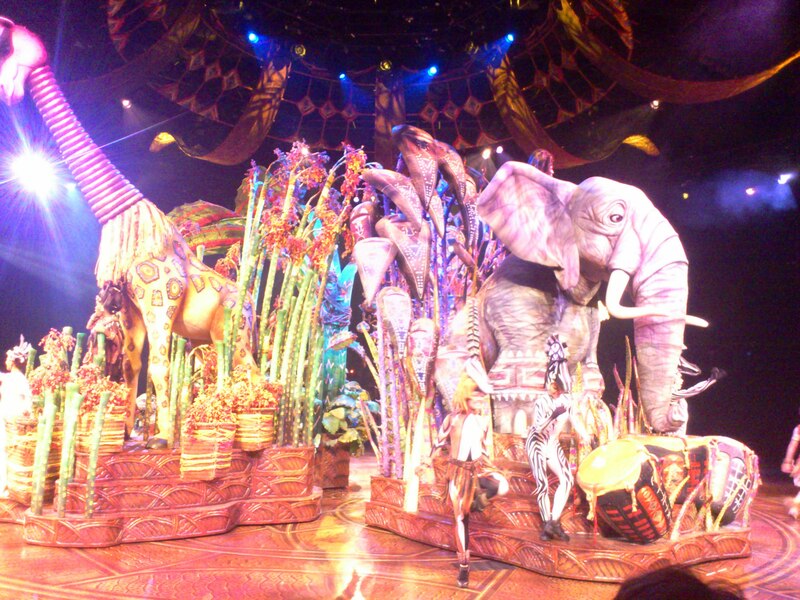 But life calls us to face every tomorrow of our awakenings from a dream. Life goes on, face every tomorrow with a heartstrong spirit that will never bend.